The trip kicks off (literally with a game for the youngsters, if they want to) with a briefing for the adults in a lounge area. Timetables are distributed and the Groupie goes over what to expect and checks for any special circumstances and requests. Each booking is assigned a PGL Group Leader (Groupie) that manages and coordinates every aspect of the stay. Seriously - every aspect. No detail is too small for their attention! Pretty much everything is time-tabled in advance (this is good to know if you ever send your child on one of their unaccompanied trips - know that they will not have time to be homesick! ), from mealtimes, to the exact times of the day's activities to "downtime"
The physical activities (what people would think of as “traditional” outward bound activites) were very well managed and coordinated. This is where PGL come into it's own. The instructors were all brilliant at engaging and encouraging all of the children and adults. There is an ethos of “Challenge by choice.” - basically self-challenge. 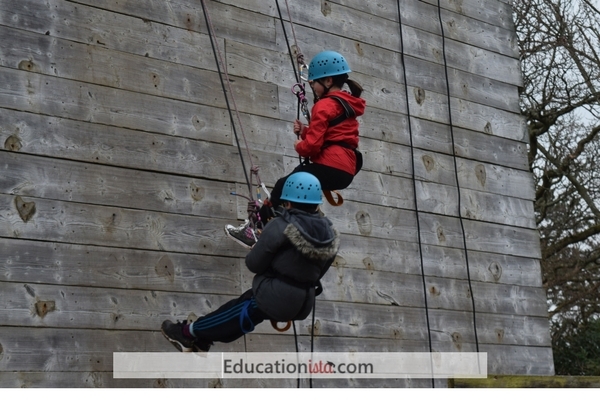 While we were there, we had a go at (among others) abseiling, archery, aeroball, challenge course, climbing and the giant swing. The quad-biking is only recommended for younger children and I would also include the challenge course as being mainly suitable for younger children, too. The geography fields studies staff were exceptionally well-qualified. This is not just delivery-by-the-script. All of the staff had bachelor's degrees and some had higher degrees. 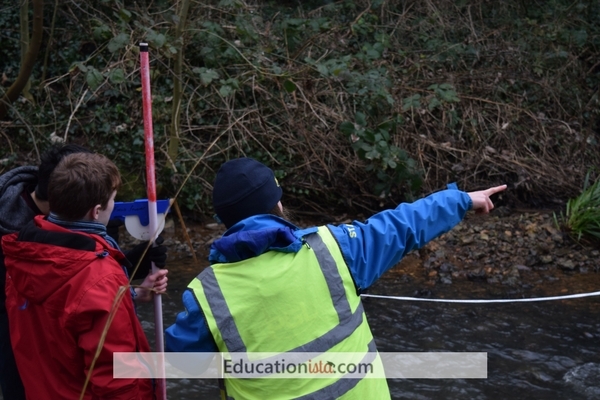 This came through in their genuine enthusiasm during the two field studies we undertook: "Rivers and Fluvial Systems" and "Coastal Processes and Features"
Each of the field sessions took place off the PGL site. They were preceded by a 45-50 minute introductory classroom session to recap the theory. 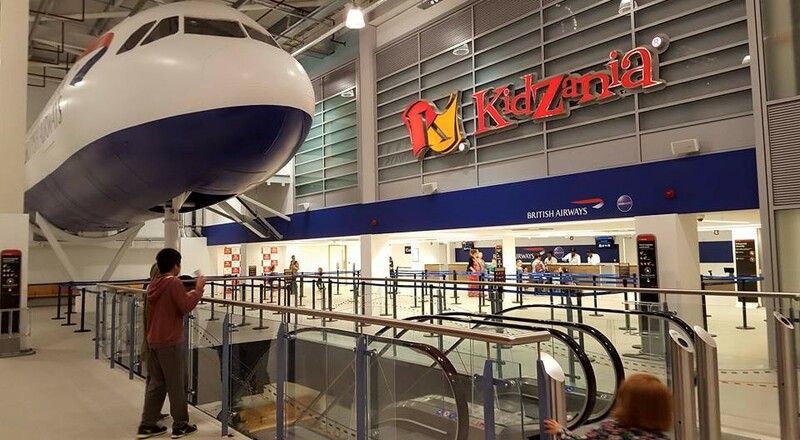 All of the staff were fully hands-on and showed endless patience with the children and the accompanying adults! The staff spent most of the day wading in the river and very hands-on in showing the children how to take measurements. 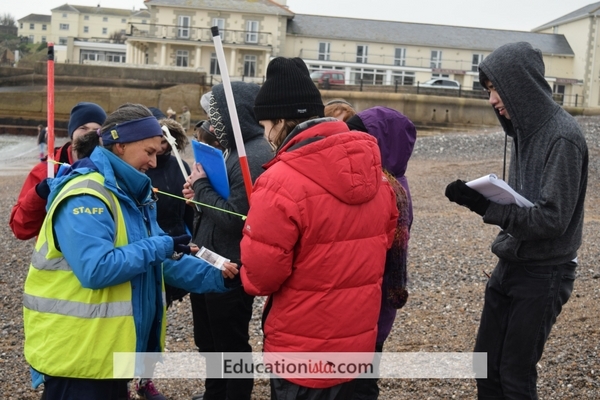 The afternoon of the coastal studies session took place on the coldest day of the year. Not one of the staff complained - even the one who was handling rocks with her bare hands. 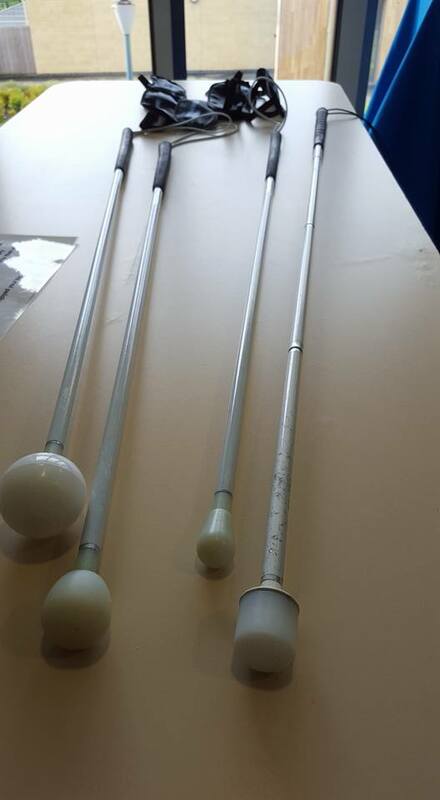 They related the classroom theory to real-world observations, such as pointing out physical features or commenting on the measurements they had taken. Everything is provided by PGL, that includes all the equipment to the worksheets/data collection sheets and even included the clipboards. We also had a follow-up evening in their IT suite putting together some of the data into reports. 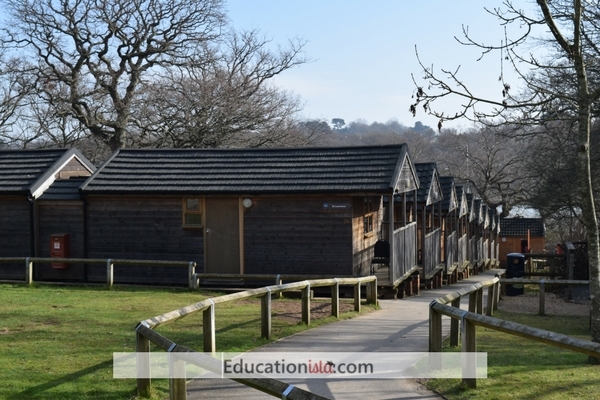 A PGL site can cater for several hundred visitors at a time, therefore, the entire site is organised quite regimentally. 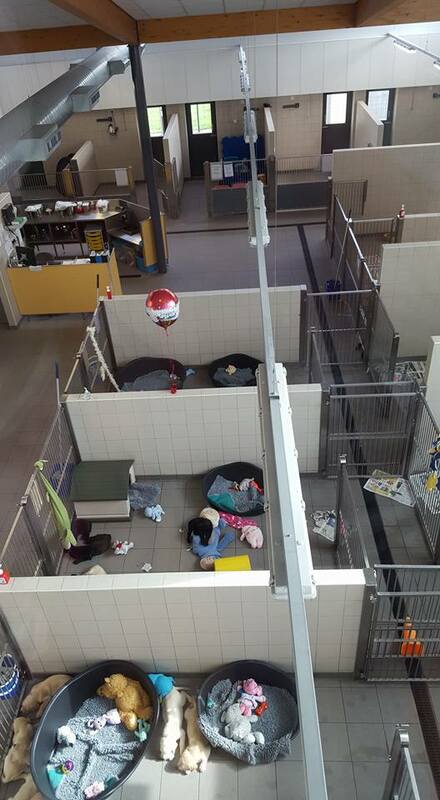 For example, each group has it's own timeslot for eating and sits in it's own designated area for the duration of their stay. A PGL Groupie escorts the group almost everywhere. The food itself is basic and carbohydrate-heavy. However, they do cater for special dietary requirements (including vegetarian and gluten-free and other requests). The hot-counter is single-serving but there is a salad/soup bar that is "unlimited" and can be revisited. Each evening, there was entertainment in the form of an evening activity. Evening activities on offer range from a disco to robot wars and other team games. These are also led by PGL staff/instructors. All of the PGL staff that we encountered are extremely positive and outgoing people and all of the staff were attentive, even off-duty. The bar room doubled as a staff relaxation room too. Sunday night was board games night and we were invited to join in or borrow a board game. We stayed in lodges (cabins). There were typically six beds to a cabin (although room capacity varies with each site and accommodation type). The children loved the opportunity to have their own lodge. Although groups are asked for to rank their preferences in advance of the trip, the exact combination and timetabling of the final activities is set by PGL. We stayed at PGL Little Canada on the Isle of Wight from Friday-Monday in February. 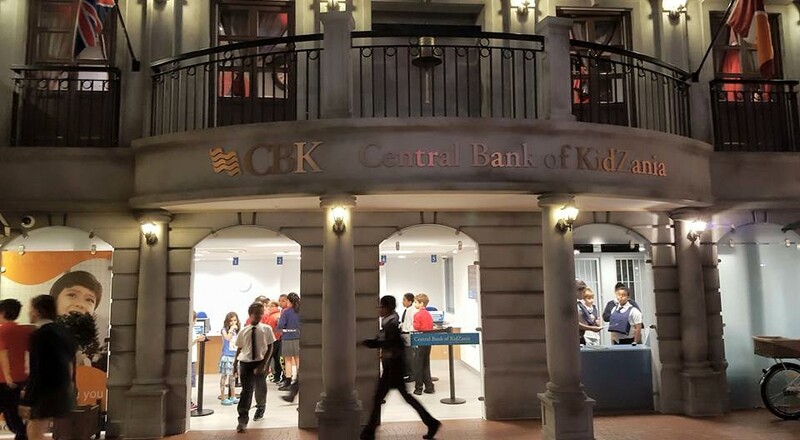 Older children took part in the Geography Fieldtrip (50% geography and 50% multi-activity) and younger children took part in the Multi-Activity Trip. We paid £136.80 per person . The cost of the ferry crossing was additional. The age range was 7yrs - adult. 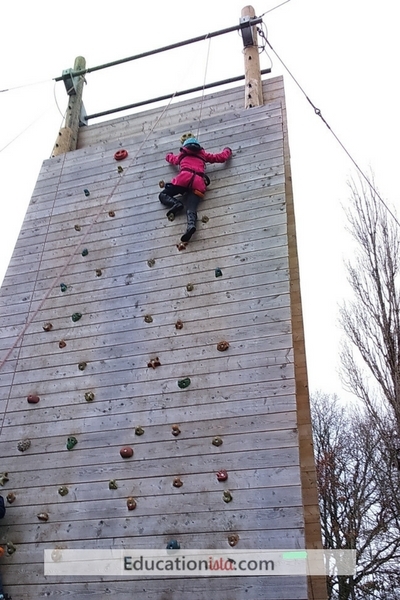 We enjoyed it so much, we are returning to another PGL site for a trip in October. This is NOTa sponsored post. 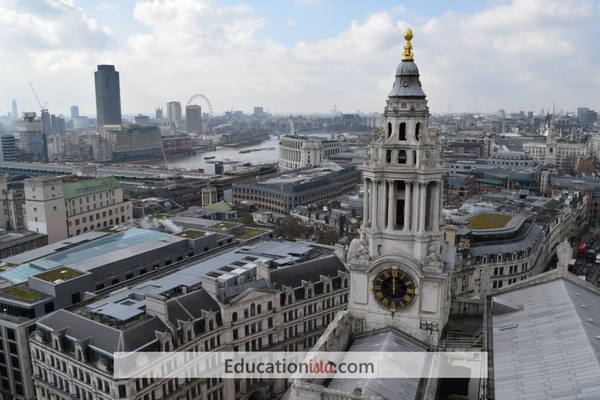 St Paul's Cathedral is a stunning building inside and out. Perhaps because we were in awe or may be because we were cutting it a little fine for our self-imposed arrival time, we missed the signage for the Crypt Entrance. There's also every possibility that such signage was non-existent. The doorman on the Crypt was a jovial fellow who listened patiently to my attempts to direct people to the entrance by reference to the two horse-back mounted police officers right opposite. The disadvantage with giving directions by reference to moveable objects is that those objects move! So, somewhat inconsiderately, no sooner had I sent directions via text, than the police officers moved on. We did get underway pretty promptly, as it happens. The education officer took us to drop off our bags in their education room and then we started by looking at the OBE Chapel. We then went into the main part of the Cathedral where we were joined by Stephen, another guide. This is where the World War II talk started. We were shown photographs and taken to see two bomb sites. This segment was upbeat and amusing, although slightly simplified for the younger children, his delivery made up for that. He talked about the bombing during the WWII blitz, in relation to St Paul's. I have to credit Stephen with one of the best lines I have ever heard in an educational workshop/tour. Describing the situation immediately after one of the bombs, there was a big whole in the floor which was market by a row of chairs and a sign that said "big hole don't go here" or words to that effect, he said: "70 years ago, people understood 'big hole, don't go here'. Nowadays we have would closed most of Northern Europe..."
After Stephen left us, Pat showed us the mosaics in the vaulted ceilings and talked a little about the fact that paintings would be fixed to the ceiling, and effectively "traced" onto the ceiling by punching holes through the painting, so that the design would be visible on the ceiling once the painting was removed. The mosaic tiles were then fixed to the ceiling, according to the design. She wisely gave up trying to arrange home-educators into neat rows. To be fair, she could be clearly heard. She spoke a little about Christian Creation and in another chapel, one of the children lit a candle. Overall the tour was good but at an hour, it isn't long enough. They admit it only scratches the surface, but even if you did all of the available tours, I think it would still only scratch the surface. Also, I think there might have been concerns about keeping the younger children engaged. However, all the families were aware that it was a GCSE level talk and despite a couple of requests to pitch it at that level, it did drift downwards, at times to KS1. We saw all three domes. 528 steps in total, apparently. At the lower levels, the stairs are wider and shallower. However as they near the upper dome, the steps are narrower and steeper. They are mainly spiral stairs and a one-way system is in place which means that once you commence a stage, you are committed to ascending that stage. 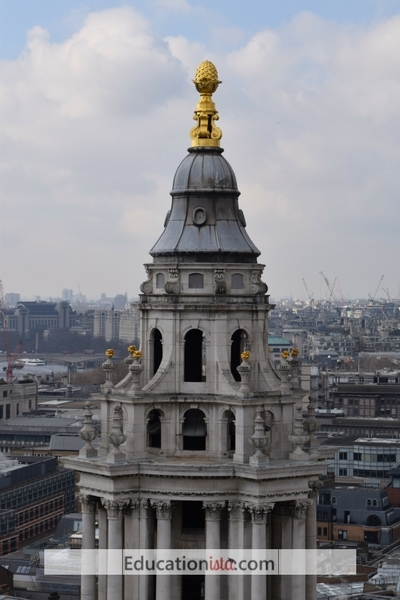 The Whispering Gallery is the lowest dome and is most accessible. With children, it's especially an charming experience to be able to see them whispering to eachother from opposite sides. The Stone Gallery and Golden Gallery are both external. The views from the Golden Gallery are stunning. 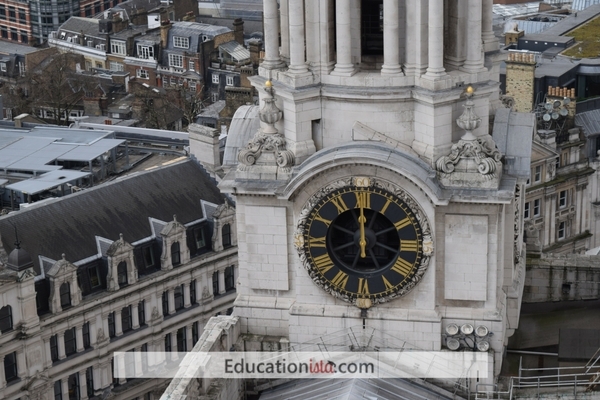 St Paul's were flexible, they readily agreed to swap the lunch and the dome timeslots over, in order to accommodate families that had to leave early. There is a certain amount of Christian religious content, which is to be expected, given that it is a cathedral. However, the tour and content is accessible to non-Christian participants. Our day at the National Museum of Computing started with an introductory talk setting the historical context of WW2, cryptology and the history of computing and introducing mathematical concepts. It also including interesting facts such as why the layout of the huts are based on corridors with rooms off them (so that you just go directly to your room). 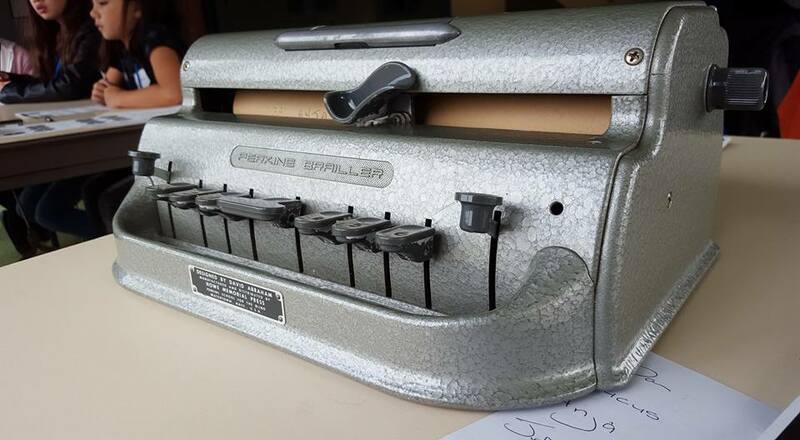 At various points, objects such as an early calculator were handed around for the students to hold and examine. We then split into our two sub-groups (based on age). These sub-groups had been arranged in advance to save time. One guide took us to see the Harwell Dekatron Computer (also known as WITCH), the world's oldest original working computer. We were able to appreciate just how far computing has progressed when we saw it in action. We then swapped guides and our second guide showed us Colossus, which is the world's first programmable electronic computer. It was this computer that helped to decipher the Lorenz-encrypted messages between Hitler and his generals in World War II. 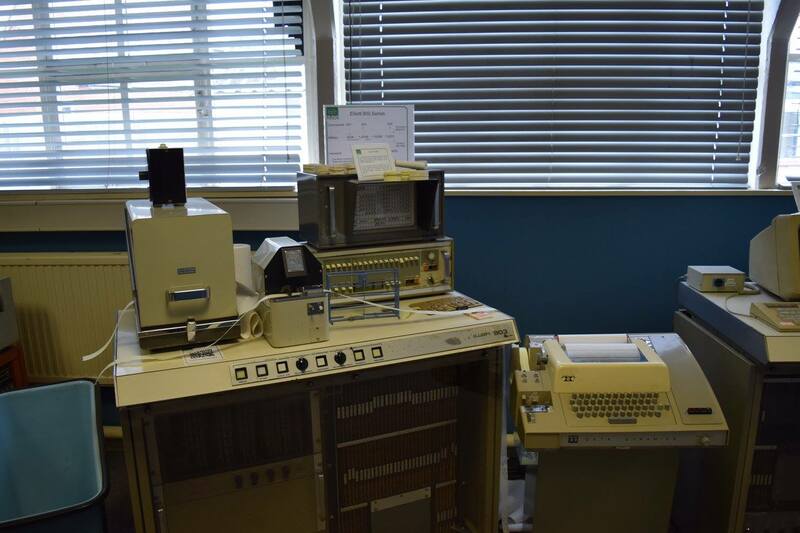 After a half hour lunch, one group was shown some mainframe computers and taken on a journey of computing history from the post war period to the present day. We then swapped guides again and spent the last part of the day in their classroom for a hands-on workshop. This is equipped with 15 BBC micro computers, which will bring back memories for any adult who remembers spending hours typing lines of BASIC into a computer in the 1980s, have it fail and then spend nearly as long again trying to debug. During this session, students had to input a 21 line code into a BBC microcomputer, to produce a "snake" game and then modify it afterwards. The absence of "copy and paste" was disconcerting for some students, as was the method for correcting errors - which was just to re-type the line. 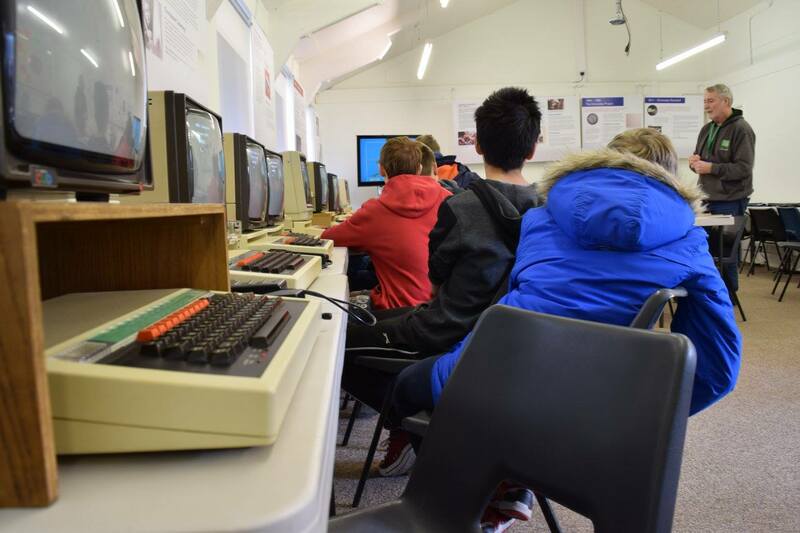 It may seem strange to use BBC computers from the 1980s but the advantages are that the students really do have to go back to "first principles." Additionally, since they run slower, you can often actually see the computer processing the instructions. There are also no distractions, due to the absence of the internet and other programs. The day was a fabulous mix of modern world history (particularly WW2), computing and mathematics. The two guides, Sheridan and Rob were extremely knowledgeable. Their enthusiasm was infectious and it gave the tour its edge. It was evident from their talks that both were genuinely interested in the subject matter. The teens were pleasantly surprised (even the ones who didn't much like coding) and the younger ones also retained a surprising amount of information. All four sections of the day were extremely well thought out and presented. All sections of the day were nicely pitched at an intelligent level. The delivery was at times humorous and always insightful. The various practical demonstrations and physical objects to see and handle were varied and relevant to the content. The content was original and smoothly tied several subjects together. It also went beyond the national curriculum and was all the better for it. 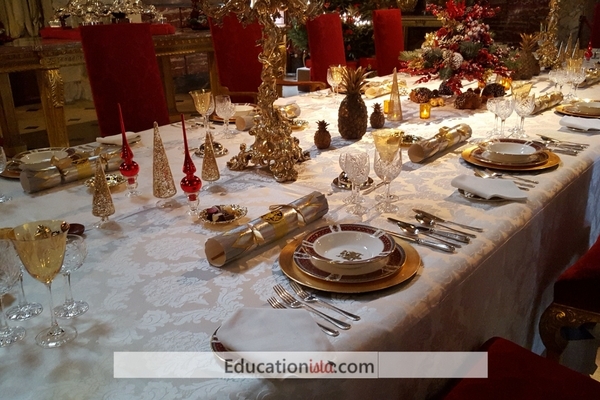 Their website suggests age 10yrs+ and I would agree, even though younger children will be able to do the hands-on workshop, taking the day as a whole, older children would better appreciate the historical context and the mathematics as well as the computing aspects of the tour. 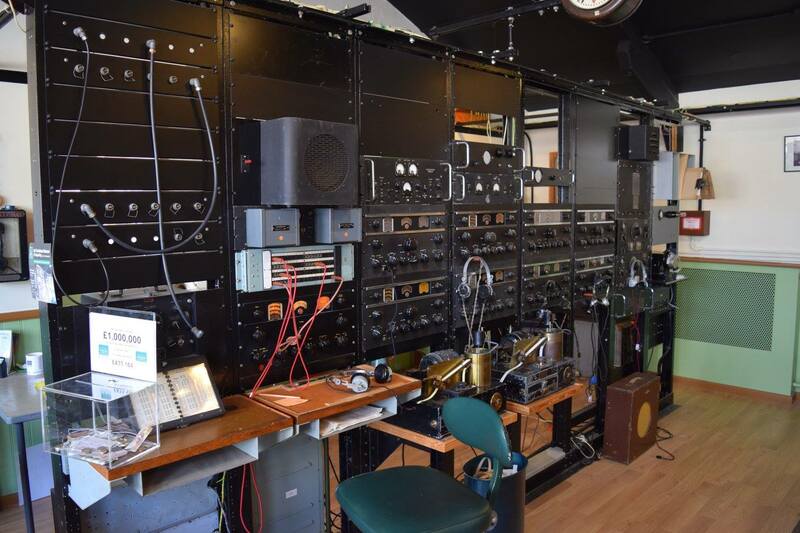 The National Museum of Computing is housed in Block H, one of the original huts in Bletchley Park but is separate from the rest of the site. It was built in the summer of 1944 originally to house Colossus computers. 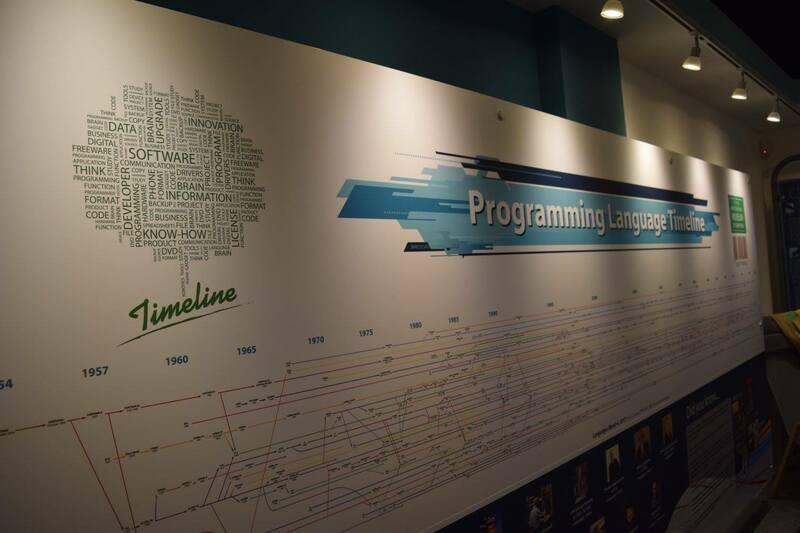 More recently it has been renovated and updated to convert it to showcase computing history. 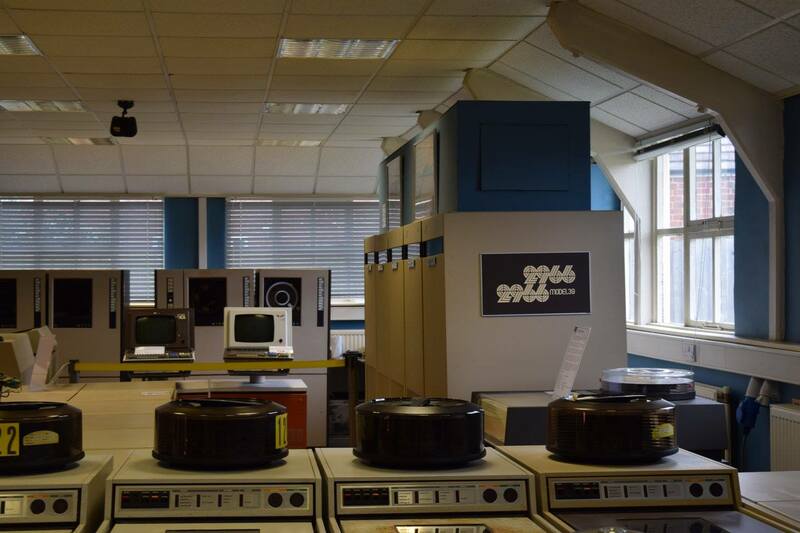 The National Museum of Computing is an independent charity and it houses the largest collection of functioning vintage computers in Europe. 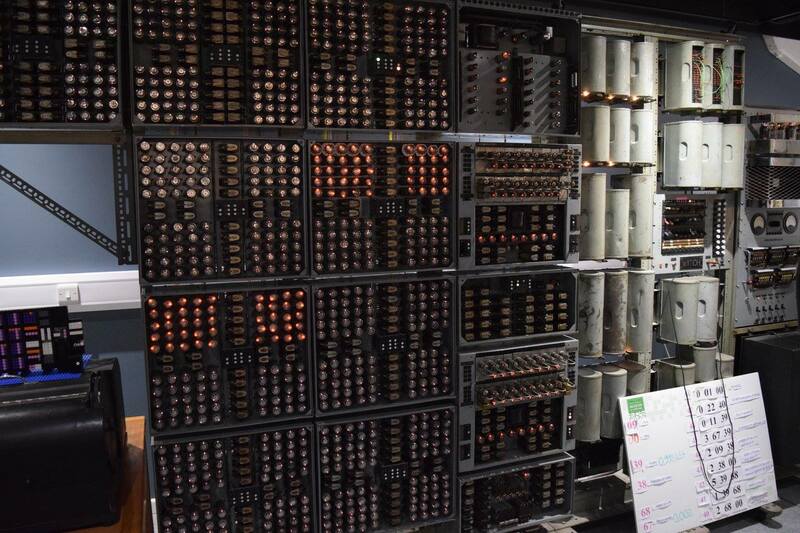 However, despite its collection of computers, it is very much a museum of computing and is still evolving. It has roughly 40 volunteers who do everything from restore computers to guide visitors. We took a group of 30 people (including accompanying adults) divided into two age groups: 9-12 and 12-15yrs. The Museum provided two guides (one per 15 people) At the time of our visit, the pricing structure was a fixed minimum fee plus a cost per person. This equated to £10 per person. However, since our visit, their prices have increased slightly. 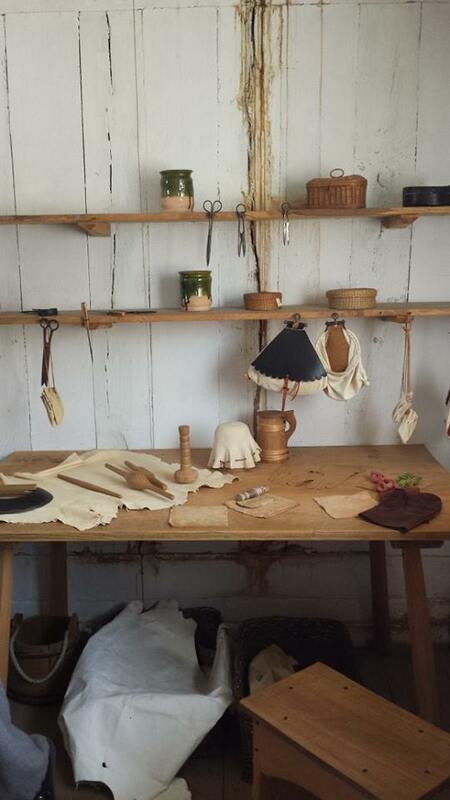 Accompanying adults are encouraged to actively participate in the tour and workshops. 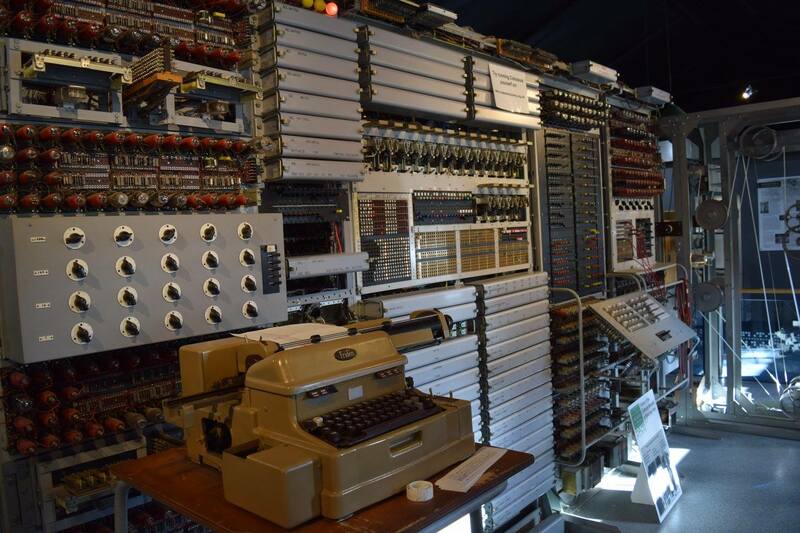 The National Museum of Computing is open to the general public and guided tours are available but need to be pre-booked. 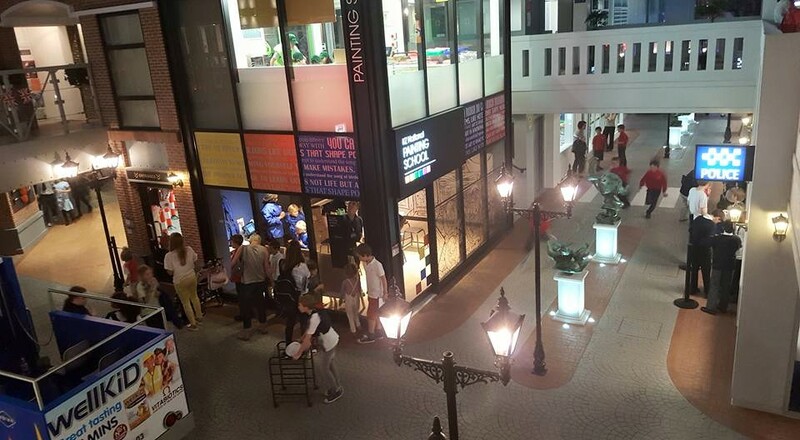 Some galleries are not open at all times. Check their website for exact opening times and tour times. Blenheim Palace is the seat of the Duke of Marlborough, built as a gift to the 1st Duke of Marlborough who led the Allied Forces to victory at the Battle of Blenheim in 1704. We had several groups participating in two tours: The Children's Tour (for primary-aged children) and the Churchill Tour (for secondary-aged children). A tour guide led each group of roughly 30 children and adults (the groups were allocated prior to the day, for speed and convenience). We progressed through the rooms as each guide pointed out various items of interest or explained the history of the room. 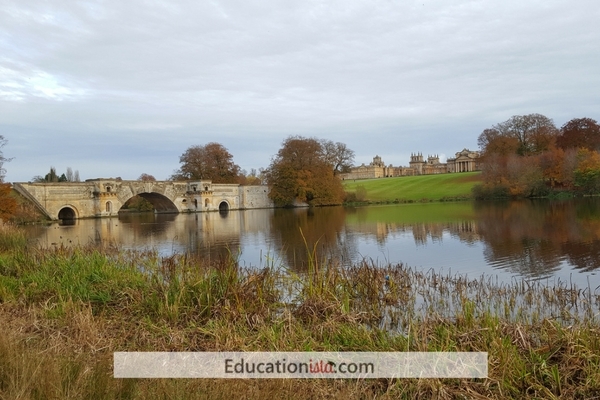 The Children's Tour is a general introduction to Blenheim Palace and is especially good for primary-aged children, although it is also offered at secondary level. The Churchill Tour is relatively new to Blenheim's educational offering. It offers a slightly different perspective and focus to GCSE Modern World History. It covers Winston Churchill's birth, childhood visits to Blenheim, social history of the time and some general history of Blenheim. All the guides were knowledgeable and coped well with multi-age groups and varied questions from the children. 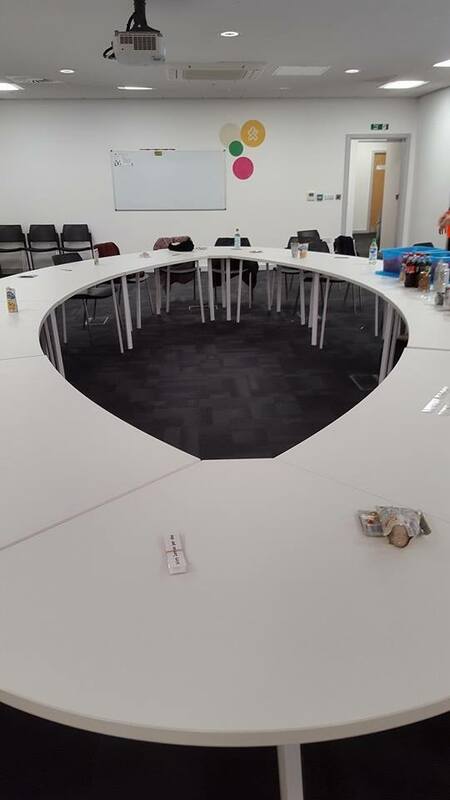 After lunch, the Education Officer (who is a former headteacher) gave a business studies talk (this would normally be conducted as a tour, but at her suggestion, she gave a talk in one of the rooms instead, since we had already had a tour that morning). She gave practical examples of how Blenheim Palace operated as a business, drawing on examples in marketing, event management, tourism. This being a home-education group, there were a higher ratio of adults and the guides took questions from the adults, too. 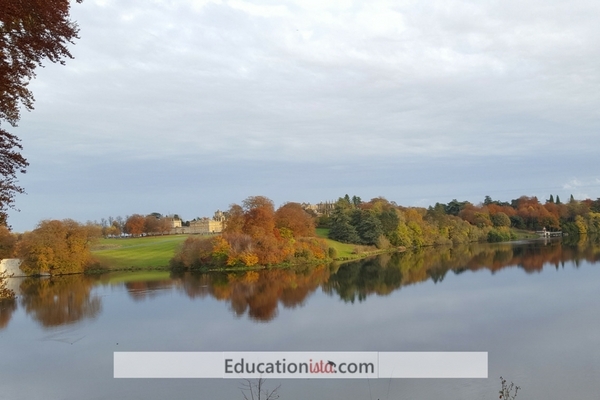 Blenheim Palace is open to the public and public tours take place alongside the education/school tours. After the formal education tours are concluded, groups are able to see the palace (if your ticket permits) and grounds at the group's leisure. 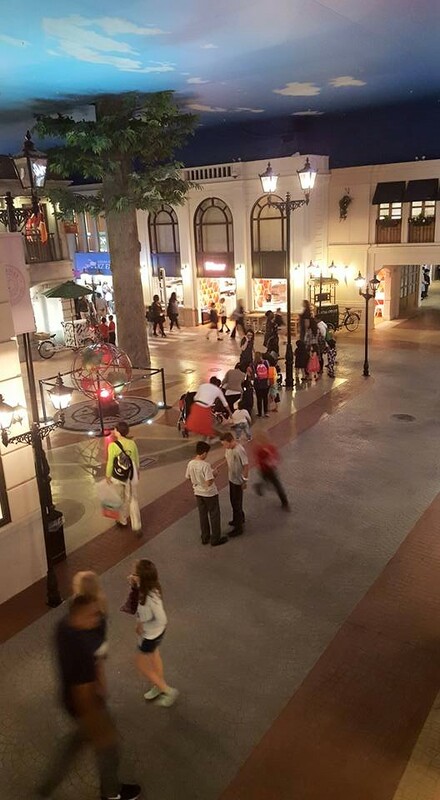 On the first floor of the palace, there is an animatronics exhibit of the palace's history which is particularly good for children up to around 12 years of age. Both the palace and the grounds are impressive and it is impossible to do them justice in one visit. Charges are "per-head" We had low-season tickets for the palace, park and gardens, which we were able to convert to annual passes. Prices are less for park and gardens access only. Update - On 26 April 2016 we returned for a World War I (Primary) and Media Studies (Secondary) Tour. The Media Studies tour was interesting, although slightly disjointed due to the change in guides. We were told about the filming of scenes in the courtyard and the library for the Spectre (James Bond), the bridge for Cinderella (Disney), the flashback scene in Harry Potter, to name a few and included lots of interesting anecdotes. The delivery was generally humorous and lively. We were unfortunately unable to return for a third time in summer term, due to the unavailability of the bottling plant tour. We gathered together outside the gates of Coca Cola Enterprises UK to be met by Rachel, their Education Centre Manager for the Milton Keynes plant. They take safety and security very seriously, so before we even went through the gates, we had an introductory health and safety talk. As we walked across grounds to the main building, Rachel pointed out the silo (that receives the deliveries of sugar) and the smaller ones for the carbon dioxide and the nitrogen gases. Right next door is Rexam, who manufacture the aluminium cans (Coca Cola takes 70% of their output). The two factories are physically linked; a conveyor belt brings cans directly from Rexam to Coca Cola Enterprises, so visitors can see the "Just in Time" in a real life situation. There is a presentation in their education room. Rachel talks about pricing and promotional pricing; packaging; markets, marketing and market share; advertising and branding (for example, diet coke used to be targeted at women and that is why the packaging is silver, whereas coke zero was targeted at males and has dark packaging). We learn a bit about global trading, such as the slight differences in recipes to cater for local tastes (South America's syrup is sweeter than the UK, for example). The syrups are made in Ireland and arrive in two halves. The syrup is made in two parts so that nobody knows the whole recipe. We were given headphones and hairnets before being taken onto a viewing platform looking down at part of their factory floor/production line, where we can also appreciate the impressive speed and scale of the operation. Through the earphones, Rachel gave us lots of production information, such as it takes 5 seconds to get from a plastic preform to a full, labelled and capped bottle. 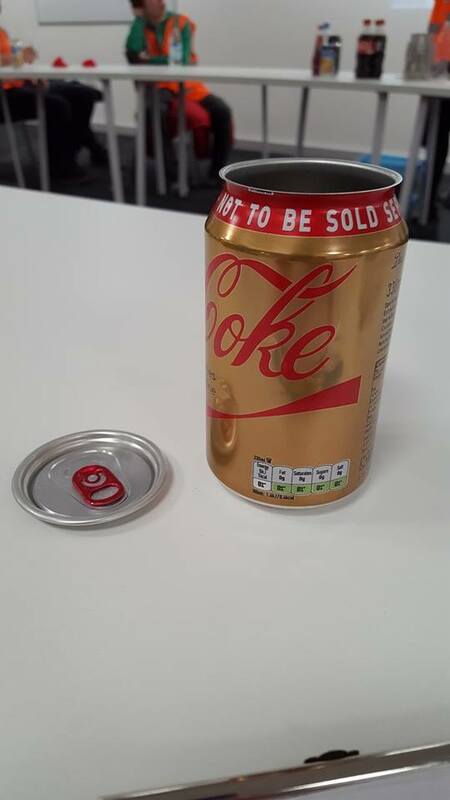 Coca Cola also use the opportunity to showcase their environmental credentials. Overall the tour is insightful and they are generous with their information. 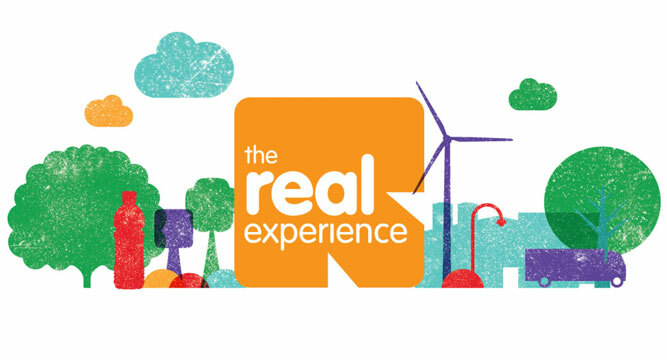 Due to health and safety, this tour is only available to students aged 12yrs+ on the day of the visit because the Education Centre is sited within a fully operational industrial building. 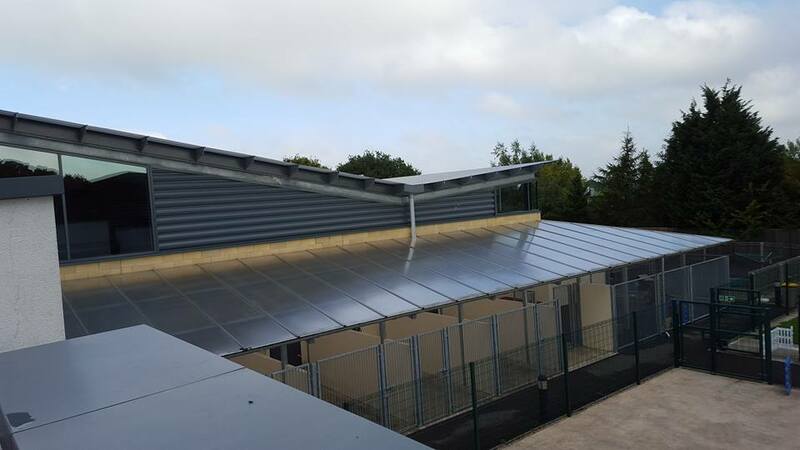 The Education Centre is wheelchair accessible, however the viewing platform is not. However, it is possible to see the production line from the window of the Education Centre. The Education Centre Manager, Rachel, leads the sessions and is a former business studies and economics teacher. Her delivery was confident and pitched at an appropriate level. We took 16 children aged between 12 and 15 and 5 adults on a general business overview tour, specifically to support GCSE Business Studies. It is possible to request a specific focus (eg Marketing, Enterprise, ICT, Design & Technology, Manufacturing, or Science) and to tailor to a certain degree. The tour would also be interesting in it's own right, as Coca Cola is such a recognised brand in modern culture. The visit is provided free of charge and lasts 2hrs. You are provided with a free drink (in our case, capri sun or sparkling water). There is no photography allowed apart from inside the Education Centre. Shakespeare's Birthplace Trust looks after various Shakespeare properties in Stratford-upon-Avon and has a varied education programme supporting Shakespeare's works and history. We had two talks booked - the Key Stage 2 talk, All About Shakespeare, began at 10.30am, while the older students went on a self-led tour of Shakespeare's birthplace. The Key Stage 2 talk was lively, interactive and featured some artefacts that were passed around for the children to handle. I was only present for part of this talk. On the whole, it was well received, although some people had commented that some historical points had been modernised for the audience (notably on the education of girls). The Key Stage 3 talk, Brush up your Shakespeare, followed directly after at 11.30am. 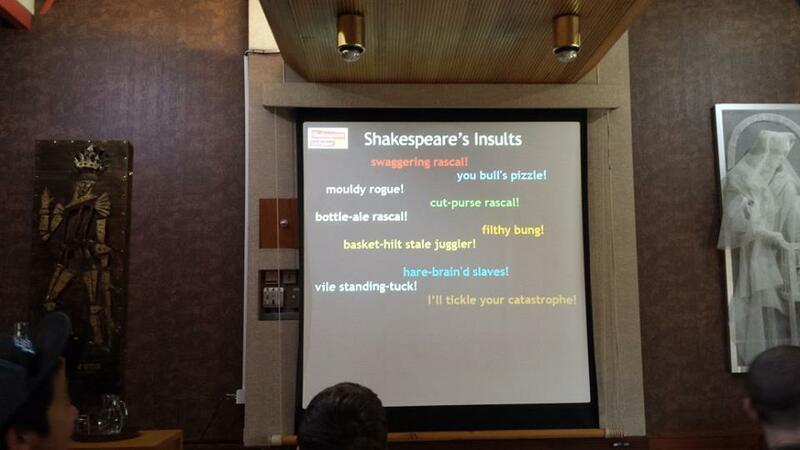 This talk really did bring Shakespeare's works to life. He talked about the language of Shakespeare, his plays and various productions. The delivery was humorous and managed to enthuse even the most reluctant participants. Both presenters were enthusiastic and knowledgeable about Shakespeare's works. 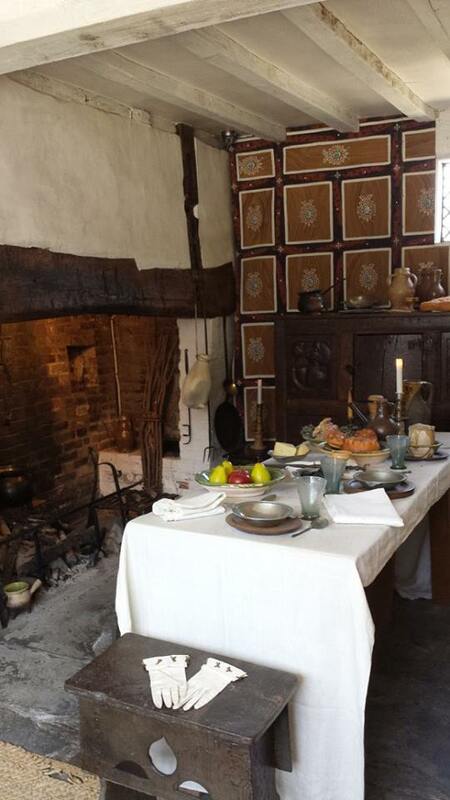 Elsewhere in the house, the guides were helpful and some were in Tudor costume/character. In the garden outside, there were two actors, in Tudor dress, performing extracts of Shakespeare's plays, on request. We ate lunch while watching them perform. Some of our group had also visited Hall's Croft (home of Shakespeare's daughter, Susanna, and her husband Dr John Hall) in the afternoon. When we arrived, we received an impromptu complimentary talk which was very helpful in explaining the history of the house. 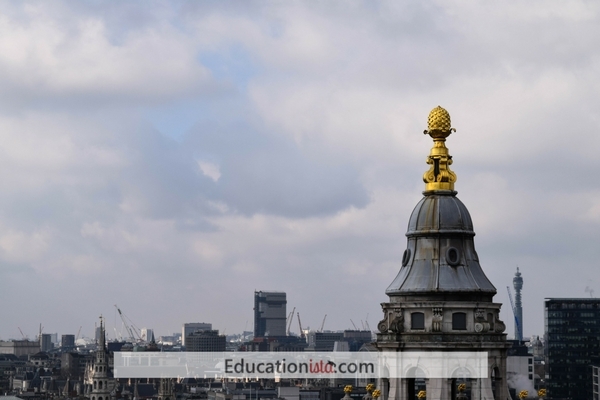 Our visit was not in connection to any specific exam or topic but there are various talks which are linked to the national curriculum and GCSE syllabus. We took two groups, aged 6yrs-11yrs and aged 11-14yrs, plus accompanying adults to the Birthplace, at a cost of £6.95 per child (because it was a home-education group SBT very generously did not charge for any of the accompanying adults going to the Birthplace) and onwards to Hall's Croft at an additional cost of £2.25 per child and £5.30 per adult. Many of Shakespeare's Birthplace Trust properties are within a short walking distance of each other. Whipsnade Zoo is the largest zoo (as distinct from safari parks) in the UK and is part of the Zoological Society of London. We were offered a free KS1 workshop at Whipsnade Zoo on the topic of Lifecycles. To augment this, we also booked a KS2/3 workshop on Enclosure Design. After going through the main entrance gate, we gathered on the very handy grass area outside their education building, and then split ourselves into the two groups, ready for our workshops. The younger group went into their classroom for their lifecycles talk. 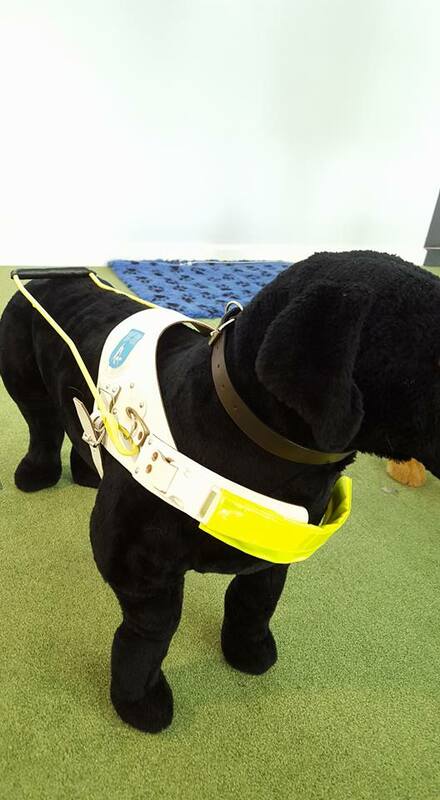 This was engaging and hands-on and pitched at the right level for KS1 students. There was plenty of "handling" opportunities, which is probably what the 5-7yr olds prefer. The workshop leader (who happened to be Whipsnade's learning manager) was very good at interacting with the children. This workshop is only offered to KS1 and they do differentiate between Y1 and Y2, we had a mixed age-group (of 4-7yr olds) and it was pitched to the younger end. The KS2/3 group went to the monkey enclosure for their Enclosure Design talk. The workshop leader was personable and approachable. The talk started with some interesting considerations to think about. Unfortunately, about two thirds of the way, the speaker seemed to run out of things to say about enclosure design. There followed a few minutes of general talk about monkeys, while this was interesting, it was somewhat disappointing for those who were expecting a more in-depth session about enclosure design. The talk was pitched at the lower range of the age-group. Being outside, it was difficult to hear everything that was being said, although the speaker did the best she could. This was made harder, when about half-way through, another school group talk commenced right next to our group. After the talks we were able to walk around Whipsnade zoo at our leisure. We did this on foot, however, it is possible to pay extra to park/drive within the zoo grounds (there is free parking just outside the entrance, though). Those visiting in cooler seasons ought to dress appropriately for the weather as there is no shelter at many of the enclosures. Those with younger children should allow extra time for rest stops. There is a "Hullabaloo" area which comprises an indoor play area (age restrictions and timed sessions apply), an outdoor adventure play area and the Hullabaloo Farm. Part of the farm is "walk through" where children can get even closer to the animals there. At various points throughout the day at some of the enclosures, there are also free talks, often timed to coincide with feeding time. We brought packed lunches with us. Although there is a school lunch area, we did not book this as there are plenty of places around the zoo to sit and eat. There are also cafes to buy food. 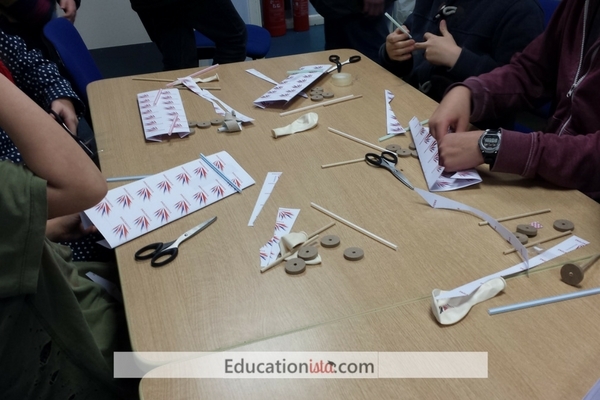 The workshops are factual and functional and they tick a number of national curriculum areas. However, while the workshop leaders were happy to answer any questions at all, there is scope to expand the core content, particularly for the older age-groups. 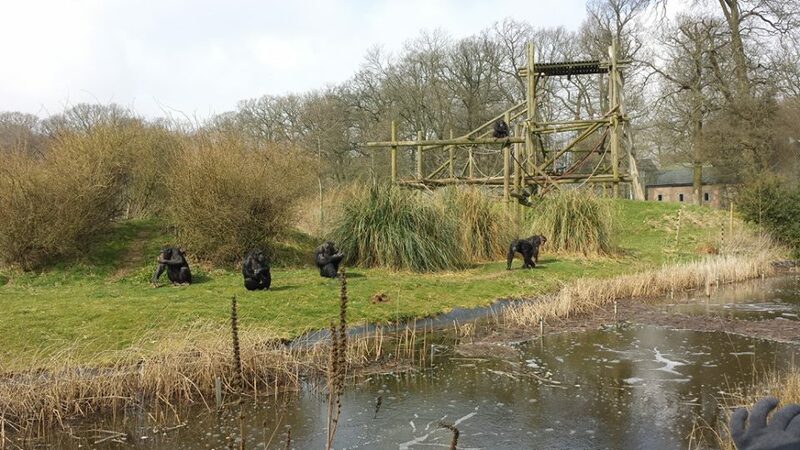 In addition, improved timetabling to ensure that two school groups are not having a talk at the same enclosure at the same time would greatly help with being able to hear the outdoor workshops. However, overall we had an enjoyable day at Whipsnade Zoo, there is lots to see and do there for all age-groups. One of the highlights was seeing the elephants walk between enclosures. 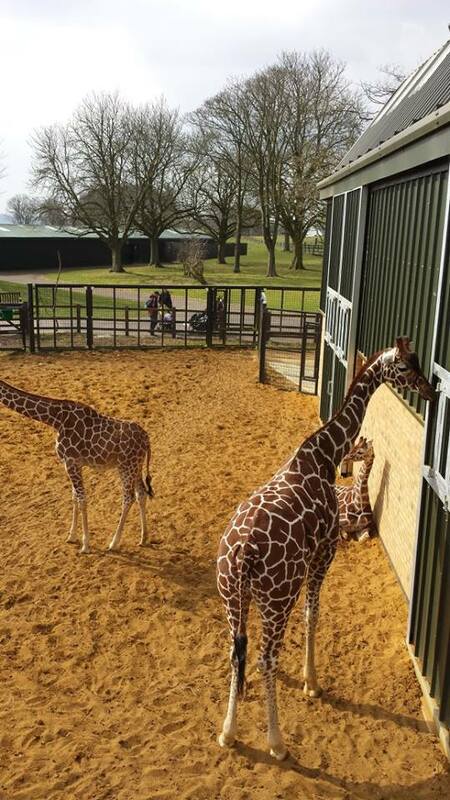 Another was getting really close to the giraffes - Whipsnade have handily designed the enclosure so that you are at head-height with the giraffes. We had booking for 87 children aged 0-16 (of which, about 30-35 in each workshop) and 44 adults. 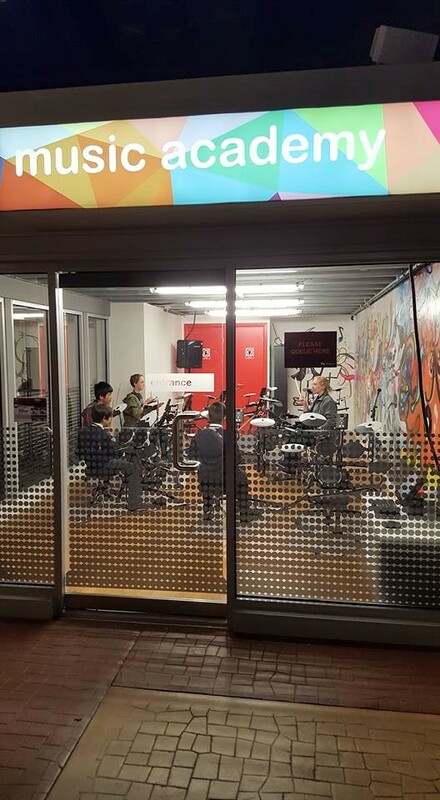 The children in the Lifecycles workshop received completely free admission and workshop entry, in return for completion of a feedback questionnaire after the event. 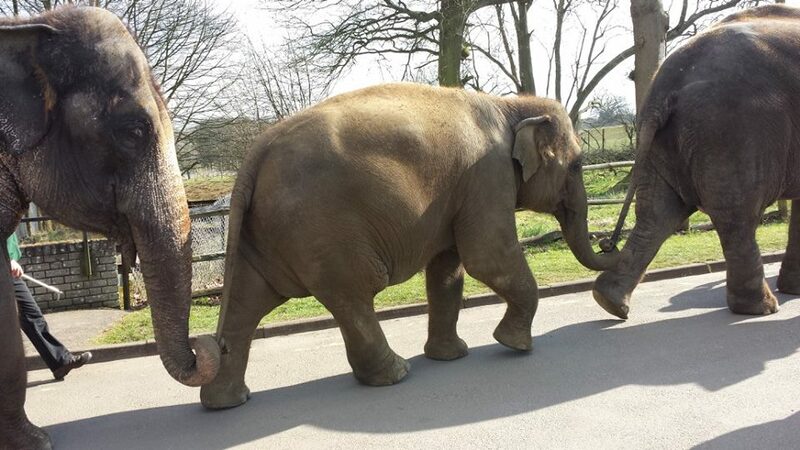 Under 3s are free at Whipsnade Zoo. The other children were £7.50 each, students were £8.50 and the adults were £12.75 (we received free teacher spaces, which depended on the number and ages of children, which was shared out, which lowered the final adult price). Whipsnade Zoo is part of ZSL, a registered charity. 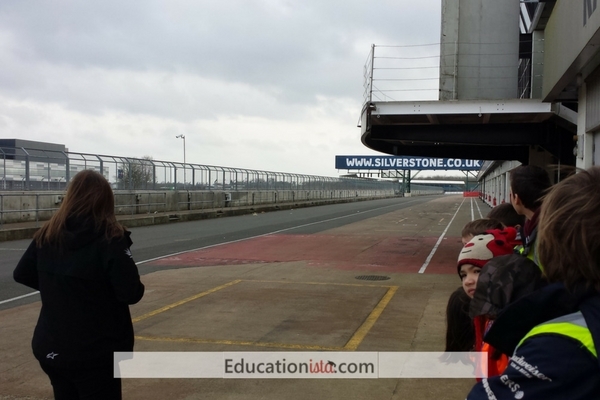 The Silverstone Circuit, owned by British Racing Drivers' Club, is home to the British Grand Prix and MotoGP. A quick google search revealed that they offer education visits. After a few exchanges of emails with Victoria, their education officer, we were all booked in. We arrived for a 10am start, we assembled in one of their function rooms and were met by Victoria herself. Victoria provided an informative running commentary throughout the drive around the circuit (she also directed the coach driver on where to go and where to park up). We stopped at Race Control where we saw the control room (surprisingly small, given the size of Silverstone circuit) and gained some insight into what different people would be working at in there on race day. We also heard about some of the history of the circuit and it's origins dating back to the 1940s. We saw the pitstops and team garages (which are actually rather bare when there are no events on). However, during Formula 1, Silverstone is the busiest airspace in Europe. It's licenced for 52 cars in a race and there are 80,000 seats in the grandstands. We also had a photo opportunity at the podium. The day we happened to visit was the windiest day of the year (or at least, that is how it felt). If you do the tour in Oct - March, wrap up very warm. We ate our packed lunches in the function room where we had originally gathered. Immediately after lunch, Victoria returned and led the afternoon workshop. The motosport themed workshop was very hands-on. 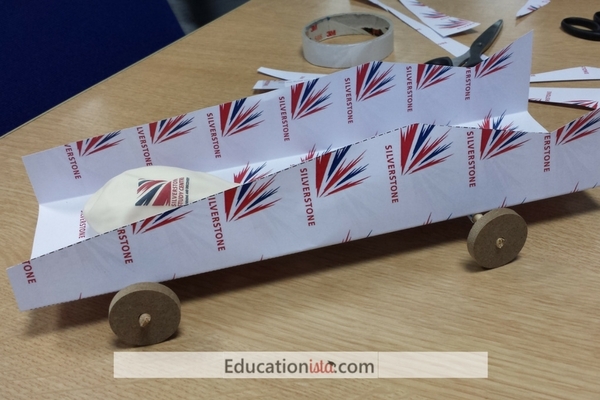 The students made a cut-out race car, powered by elastic bands. At the end, they were able to race against eachother. Victoria rounded off the day with a closing few words and everyone received a Silverstone circuit keyring. All the staff that spoke to us were enthusiastic and knowledgeable. The tour was superb and especially suitable for those with an interest in automotive and motorsport industries. The workshop, while good did not showcase Silverstone's stature in the motorsport and automotive areas, and was completely outshone by the tour. It might be that the business/marketing workshop would have better highlighted Silverstone's unique position as the centre of British motorsport and as a hub for automotive innovation. Our day cost £350 plus VAT This included the tour and workshop. (The other workshop option was a business studies/marketing workshop) We booked two separate days (one at age KS2/age 7-11 and the other age KS3/age 11-14). On each day, we took approximately 25 children and 10 adults. We had to hire a coach separately.